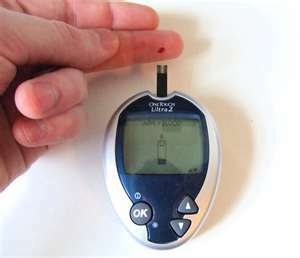 Testing blood sugar of diabetics is done by drawing a droplet of blood with a finger-prick test from two to ten times a day. With the discomfort it causes in drawing blood, some people don’t measure their levels often enough. The University of Michigan researchers have developed a sensor that can detect blood glucose levels in tears correlated to glucose levels in the blood. With the discovery, according to researchers in the journal Analytical Chemistry, ‘it may now be possible to measure tear glucose levels multiple times per day to monitor blood, glucose changes without the potential pain from the repeated invasive blood drawing method. There is a great demand for an alternative to using lancets, or pricking needles, to draw blood, according to doctors. People with type 1 diabetes, who can’t produce the hormone insulin, frequent tests are essential and needed to control blood sugar levels. The only way to safely monitor glucose levels is through skin prick tests and it will let patients know if they need an insulin injection. Type one diabetics can develop hypoglycemia, if blood sugar levels fall too low which can lead to coma and death if left untreated. People with type 2 diabetes don’t produce enough insulin to control blood sugar levels. Although it can be treated with a healthier diet and exercise it is a progressive condition and medication may be needed when the condition is more advanced. Those with type 2 diabetes may only need to test themselves twice a week if they manage to get their sugar levels under control. Diabetes affects 26 million people in the U.S. The majority of sufferers have type 2 of the condition.